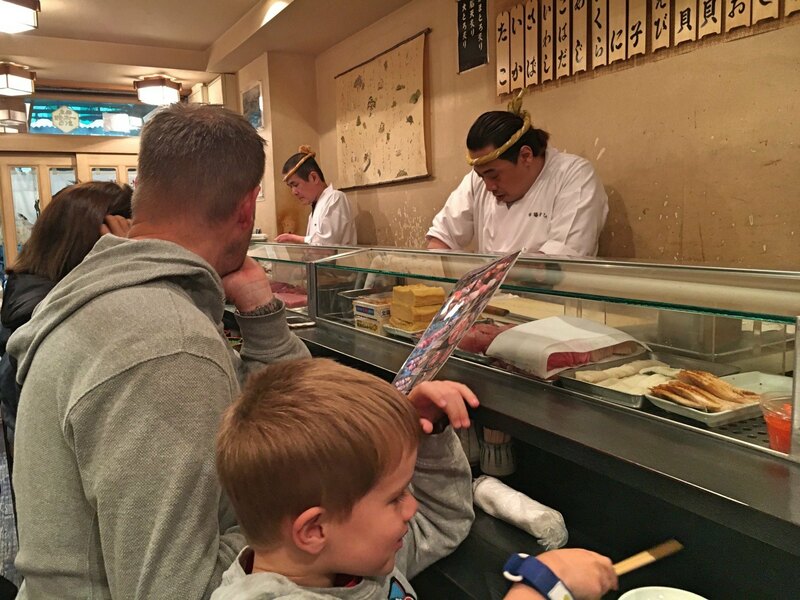 Tokyo is surprisingly a very family-friendly place to kick-start your Japan trip. 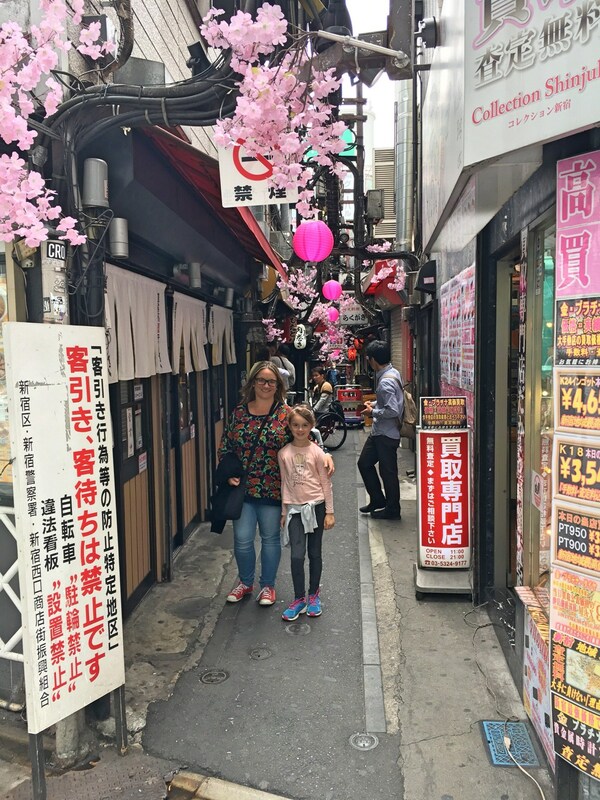 Here’s our guide of top things to do in Tokyo with kids if you’ve only got a short amount of time to visit. 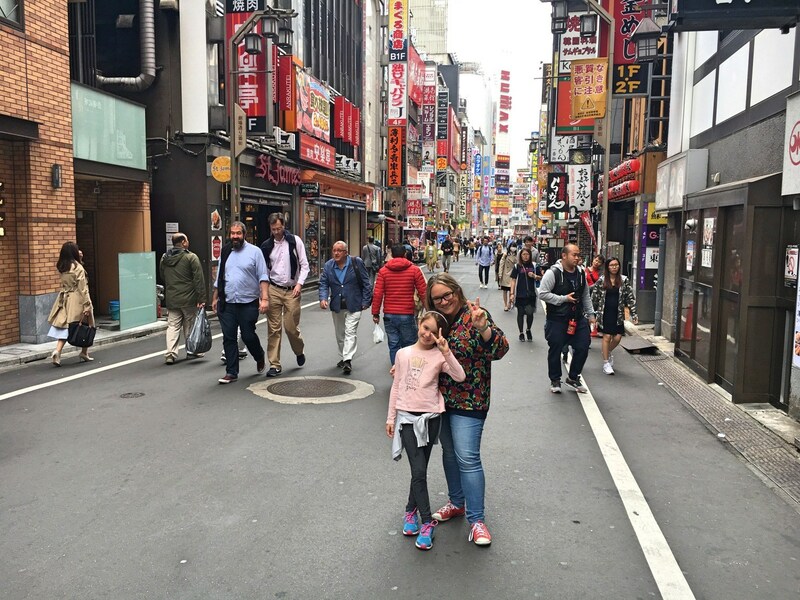 The Shibuya area of Tokyo is one you’ve probably seen from films like Lost in Translation – or in your kids’ case Cars 2 where Maida zooms around the streets of Tokyo! It’s a buzzing area full of bright neon billboards and is also home to the world’s busiest pedestrian crossing. Our kids loved people watching and waiting for the crossing light to turn green where we held on to their hands TIGHT and crossed along with hundreds of other people. Amazingly despite the volume of people it just works and we didn’t see any collisions! 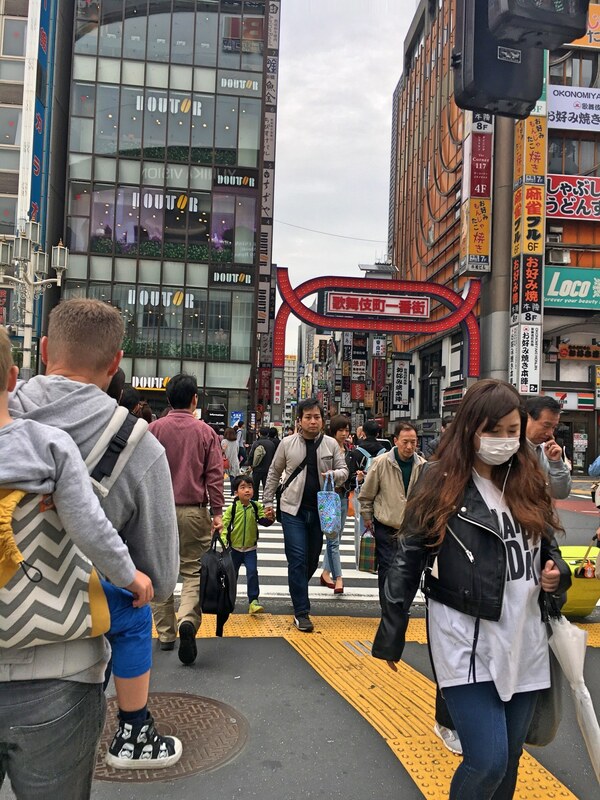 The area around the crossing is a fun place to explore, with lots of shops, restaurants, karaoke bars and arcade parlours. 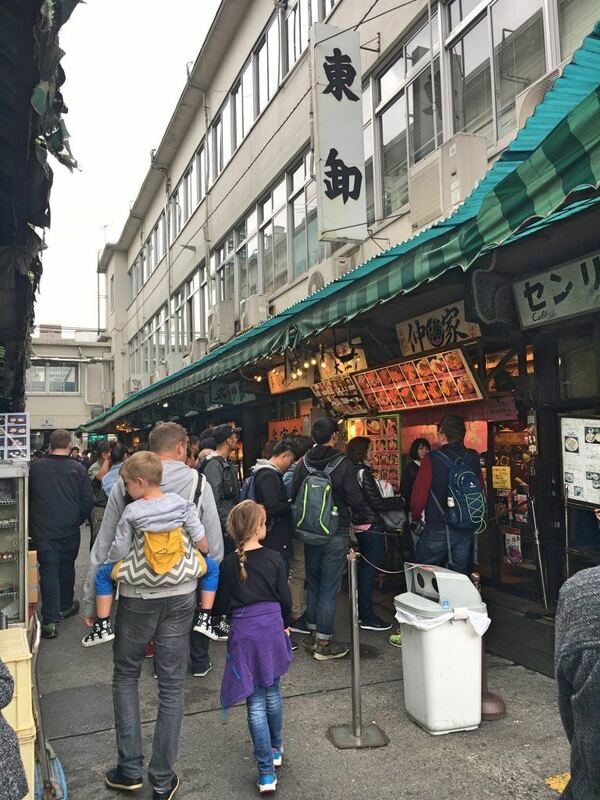 IMPORTANT NOTE: Tsukiji Fish Market is moving and will be closed from 6 October 2018. It is moving to a new site in Toyosu where it will be known as Toyosu Market, opening on October 11, 2018. 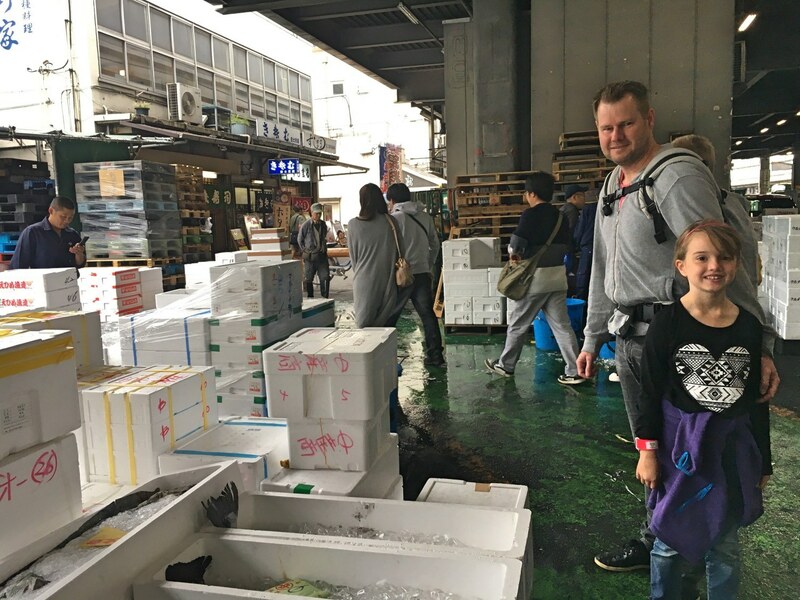 Visiting the Tsukiji fish markets is a fun free thing to do in Tokyo with kids. It’s one of the largest fish markets in the world with over 2,000 tonnes of fish and seafood sold daily. If you’re an early riser or suffering jet lag you can get there super early for the tuna auctions that take place at 5am (you’ll have to queue to get tickets however as it’s limited to 120 people per day). 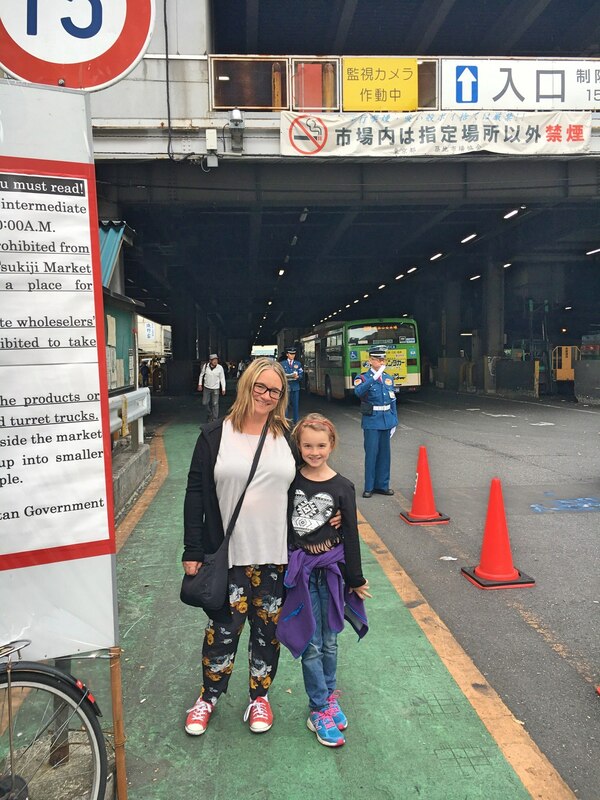 However with the kids in tow we opted just to visit the outer market, which was still fascinating. 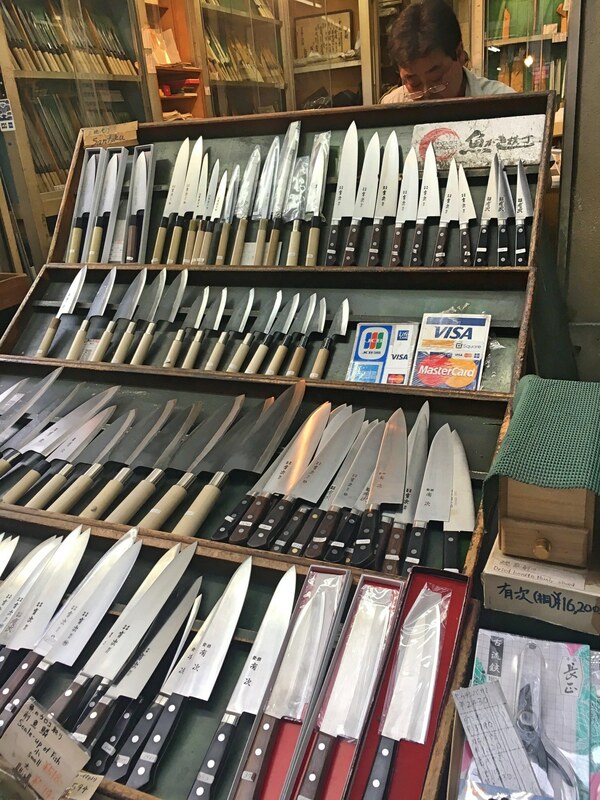 Knives on sale at the outer market. 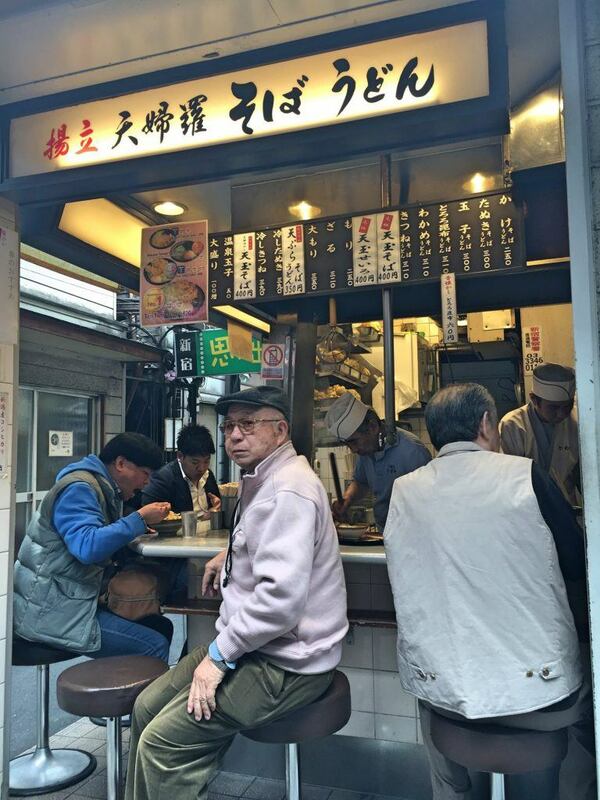 One of the highlights of visiting Tsukiji is to eat at one of the small sushi restaurants in the outer market. 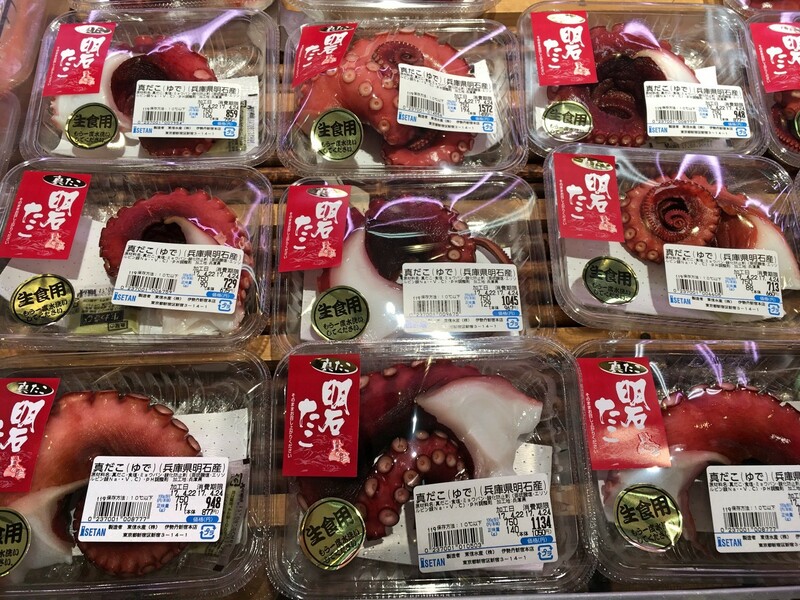 I think you’d struggle to get fresher sushi anywhere else in the world! Instead we wandered 3 restaurants down and found a gorgeous little place that we could get into straight away. 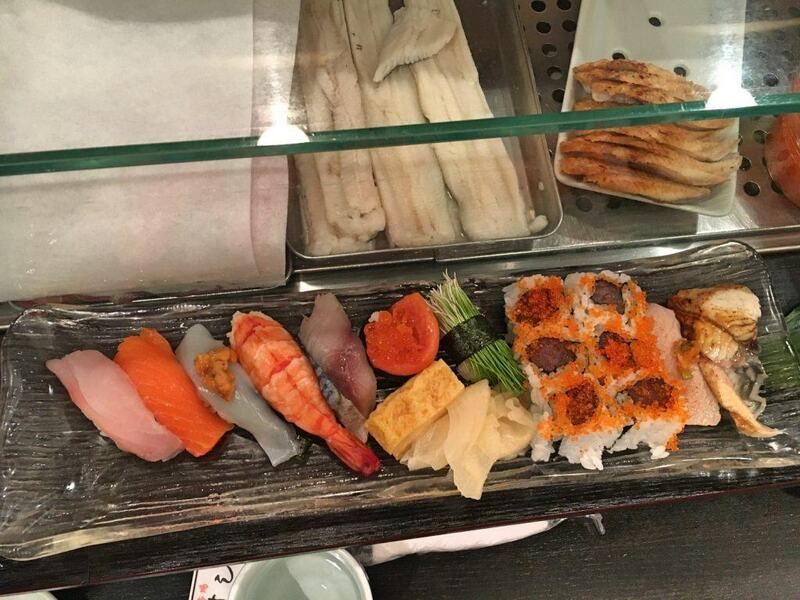 We ordered two delicious dishes and sat at the counter to watch the sushi master expertly put it together for us. It was absolutely brilliant. The identifiable bits were tuna, tuna mince, salmon, salmon caviar, tofu, prawn, eel and a variety of fresh white fish. The kids were really game and tried a little bit each. -The market is closed on Sunday. True Tokyo sushi aficionados apparently never eat sushi on a Sunday as they know the fish won’t be fresh that day from the market! 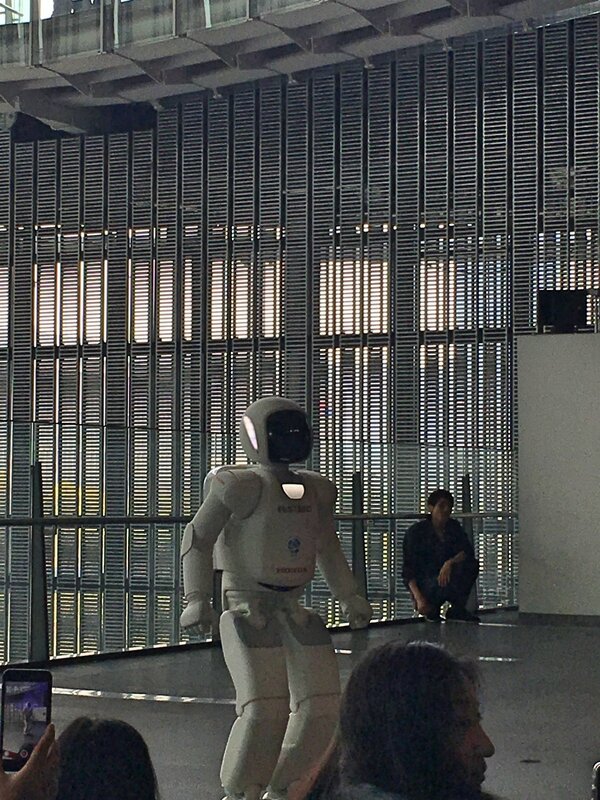 The National Museum of Emerging Science and Innovation or Miraikan as it is known was a brilliant place to spend the afternoon. 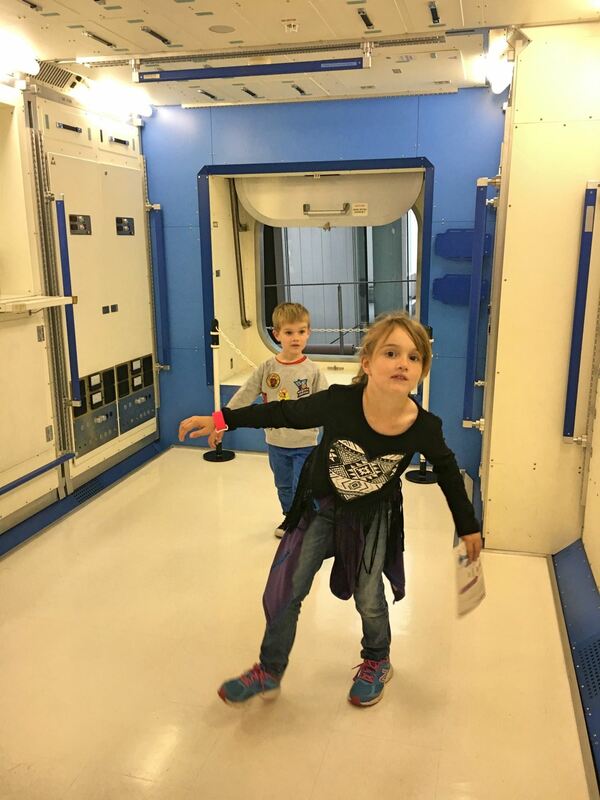 The kids loved learning about the environment and impacts of climate change, as well as seeing rapidly developing robot technology in action. 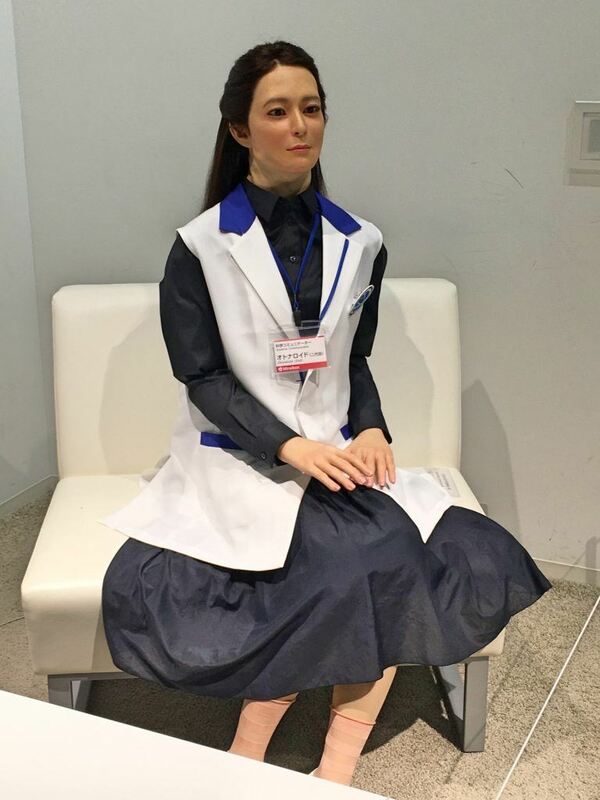 It also gave us adults a lot to thing about as well in terms of the place of robots in society – and fundamental ethical questions such as what should robots look like and how far should the technology go? Should they resemble humans or machines. What role in society do we let them play? Deep and meaningful stuff! A real-life blinking, moving droid. It was so realistic! The Miraikan also has a great cafe where we had lunch for a reasonable price, and a gift shop packed with cool science-related items. 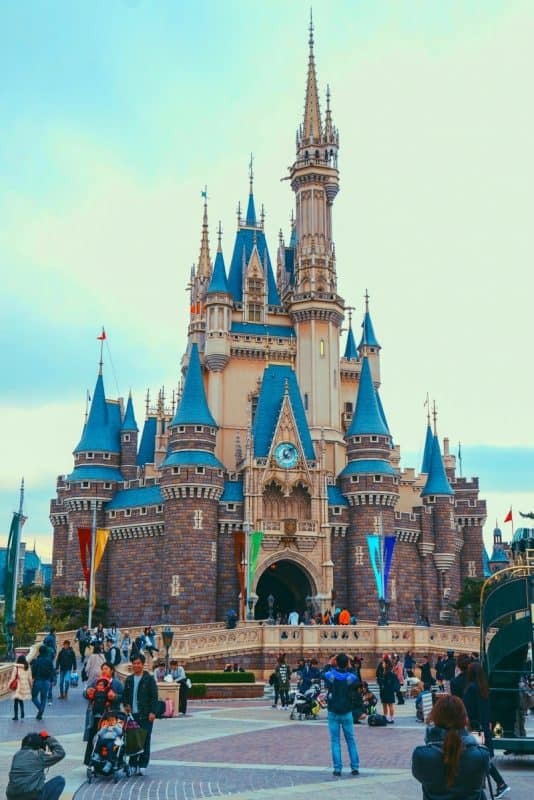 If you’re into all things Disney, then a visit to Tokyo Disney Resort is a must do! The resort features two theme parks side-by-side – Tokyo Disneyland and DisneySea. Tokyo Disneyland features all your favourites such as Main Street, Space Mountain, Mickey’s Philharmagic concert, Big Thunder Mountain, Buzz Lightyear, as well as a daytime and nighttime parade, and the evening light and firework show. DisneySea is unique to Japan, and it’s basically an ocean themed version of Disneyland. Some of the cool themed rides include 20,000 Leagues Under the Sea, Indiana Jones Lost River Delta adventure, Journey to the Centre of the Earth, King Triton’s Concert at the Mermaid Lagoon Theatre, Nemo and Friends Sea Rider, the Tower of Terror and Toy Story Mania. There’s also amazing sea themed parades and opportunities to meet Disney characters. 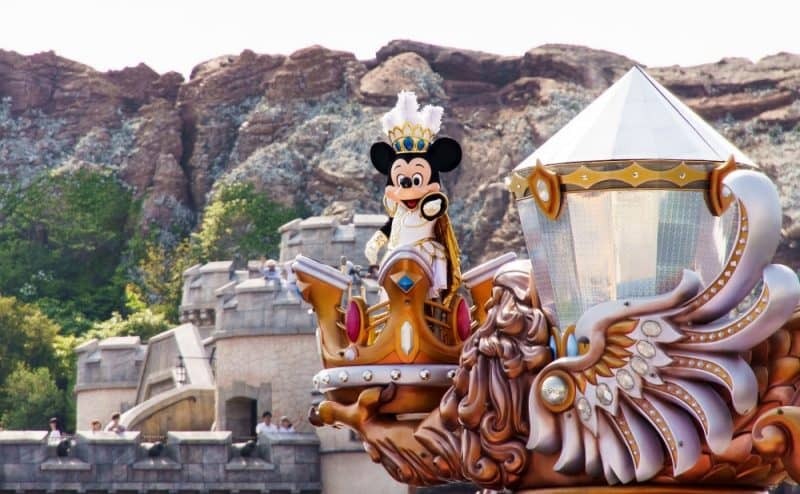 Both parks are fantastic, but if you are short on time and need to choose one, we would recommend DisneySea simply because of its uniqueness – you won’t find this concept anywhere else in the world! It’s also suitable for slightly older kids – so if your children are very young stick to Disneyland. The parks can get extremely crowded, and you will need to book your tickets well in advance, as the park is often sold out weeks beforehand. Roppongi used to be a bit of a dodgy area, but now smack bang in the middle of it is a new ‘lifestyle’ complex showcasing how to work/live/play in the same area. 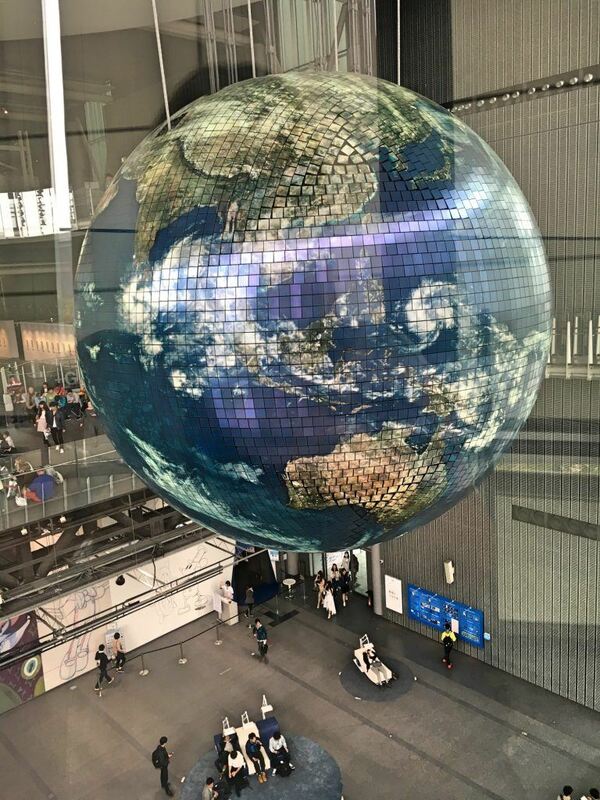 There’s a giant big shopping centre at Roppongi Hills, and it’s also home to the MORI Art Museum and Tokyo City View which offers breathtaking views out over Tokyo. We headed to Tokyo City View in the late afternoon to watch the sunset. And the bonus surprise of the year – the space also doubles as a gallery space. On show was a Marvel Heroes exhibition complete with costumes and items from the films, original comics, behind the scenes interviews and an interesting feature on the crossover between Marvel and Japanese manga comics. 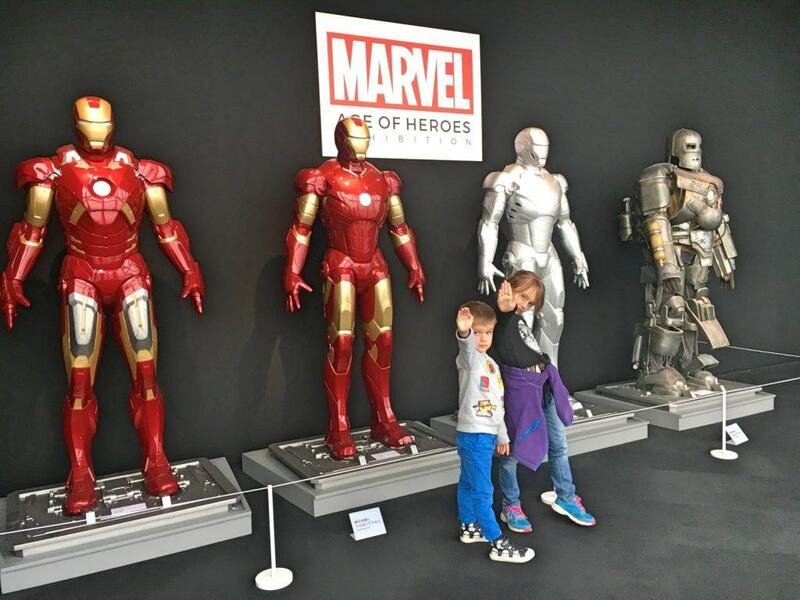 A little boy was in absolute heaven to see all his heroes in one place and we spent a good couple of hours there. 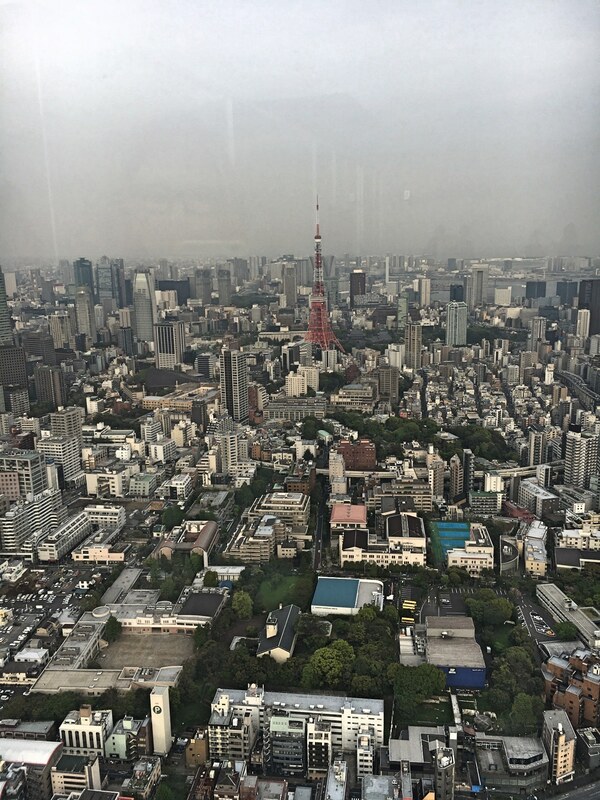 Tokyo City View is the perfect place to get your bearings of the Tokyo sprawl, and a gives a good appreciation of how massive this city truly is. 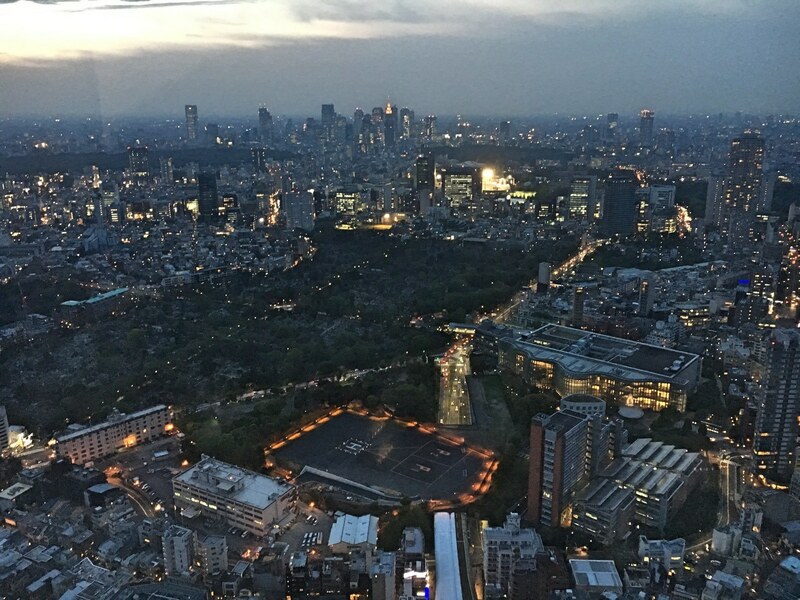 If you want to go even higher than Tokyo City View, you could check out the Tokyo SkyTree. It’s the world’s highest free-standing tower and reaches 350 metres into the sky. 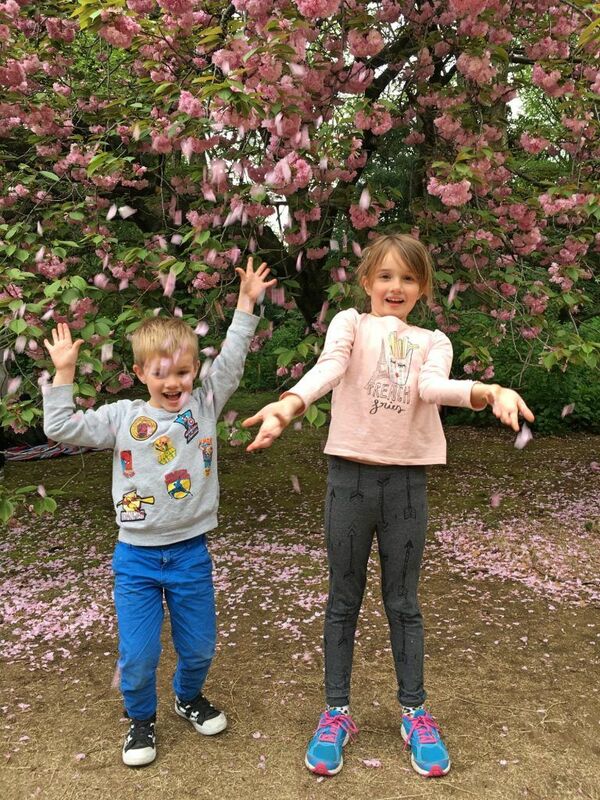 Queues can be extra long for this one, so if you’re travelling with kids it pays to pre-book your tickets and pay for a ‘skip the line’ admission – from experience these tickets are SO worth the little bit of extra cost in avoiding queue meltdowns! Shinjuku is a great place in Tokyo for people watching. Amongst the bright neon lights are shoppers, tourists and young people dressed in all manner of things! One of our favourite finds for knick knacks and cheap souvenirs was the 100 yen store. A bit like our $2 shop in NZ or a pound store in the UK, it had all kinds of cute bits and pieces. We bought some gorgeous Furoshiki – fabric that is traditionally used to wrap presents in – that we are going to frame up at home. 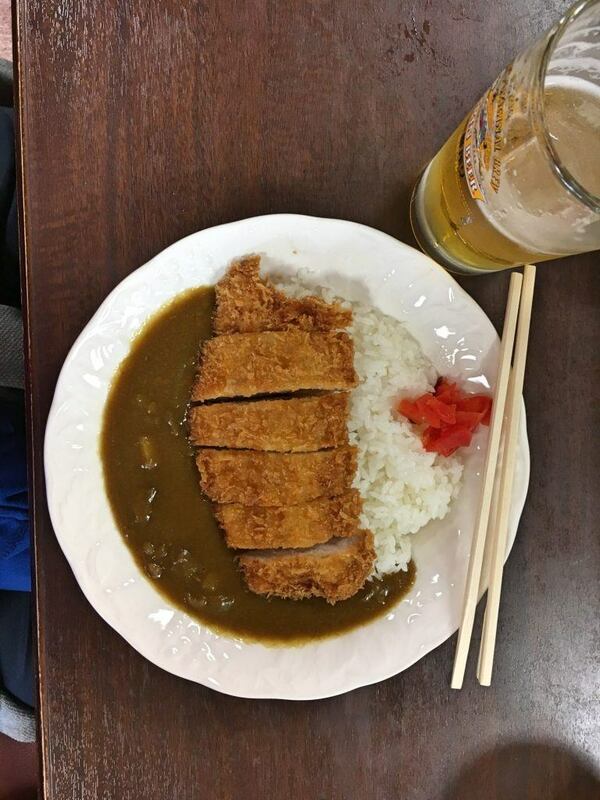 It also pays to get off the beaten track a bit in Shinjuku. There are some gorgeous little alleyways and restaurants in the area between the station and Shinjuku Gyoen (park). 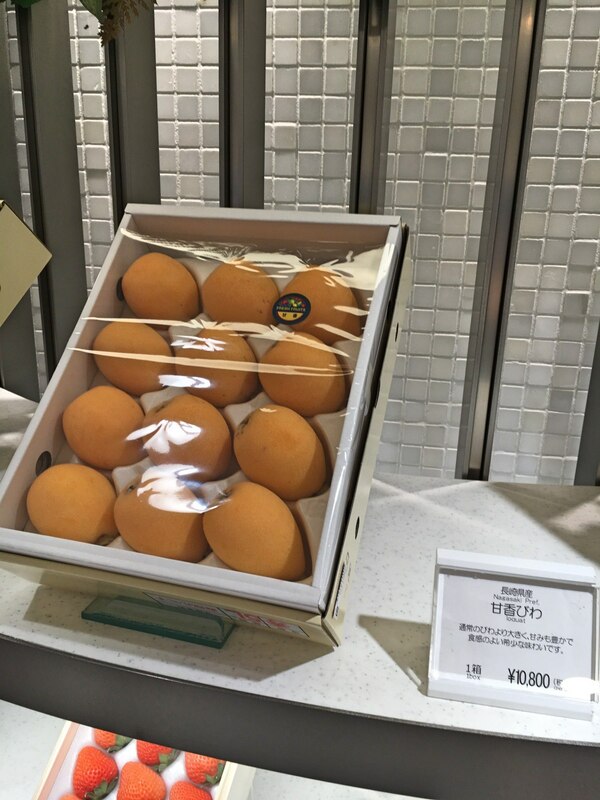 The basement of the Isetan department store in Shinjuku is an absolute foodie paradise. 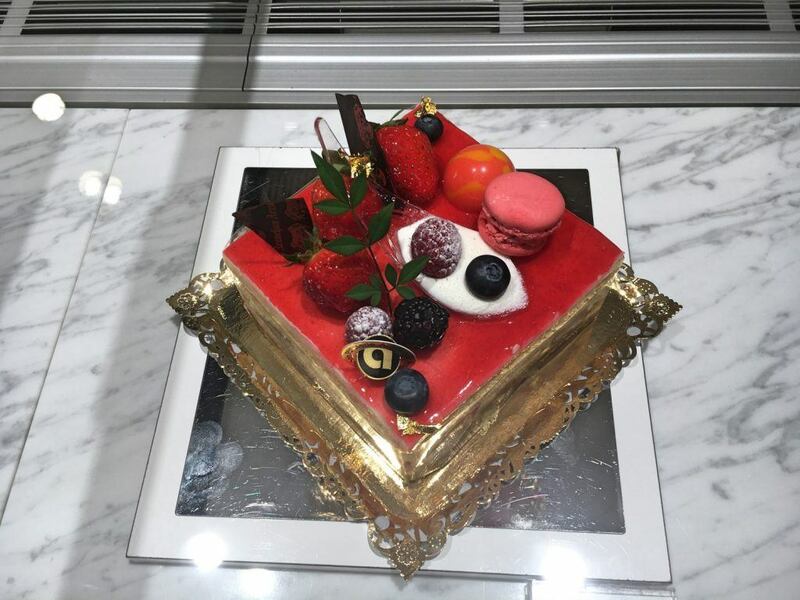 There’s an amazing selection of beautiful patisserie, chocolate artisans, beautifully packaged (and pricey!!) 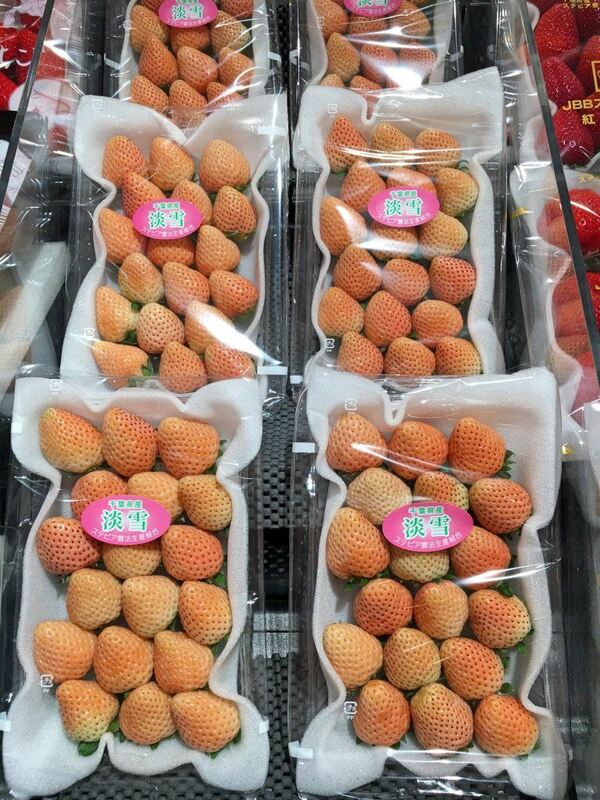 fruits and vegetables from around the world, fabulous bento boxes and sushi on offer. 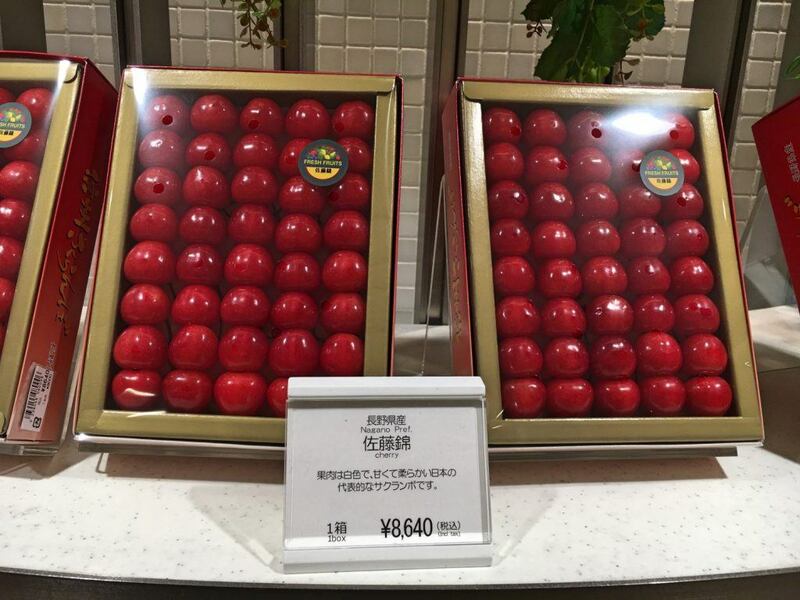 Perfect cherries, only $78 USD a box! It’s a great place to purchase some items for a picnic (not the pricey fruit!) 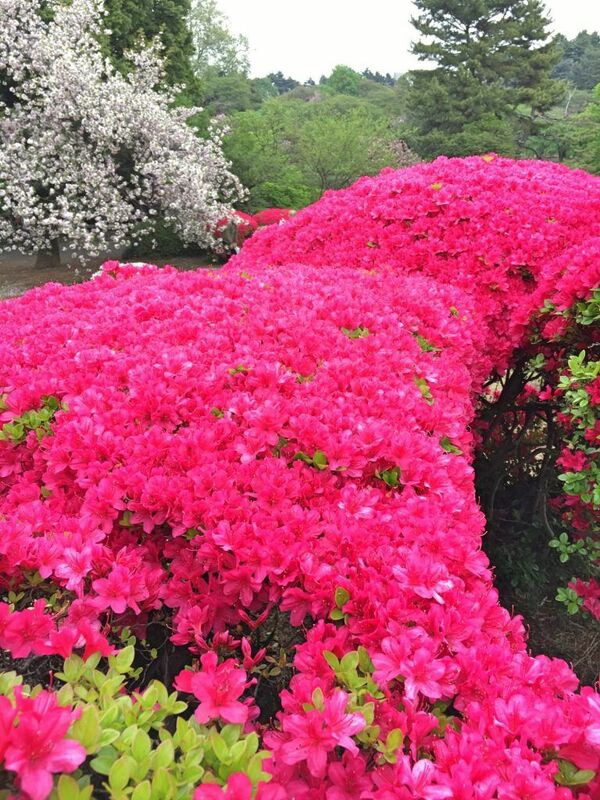 and head on over to Shinjuku Gyoen to enjoy. 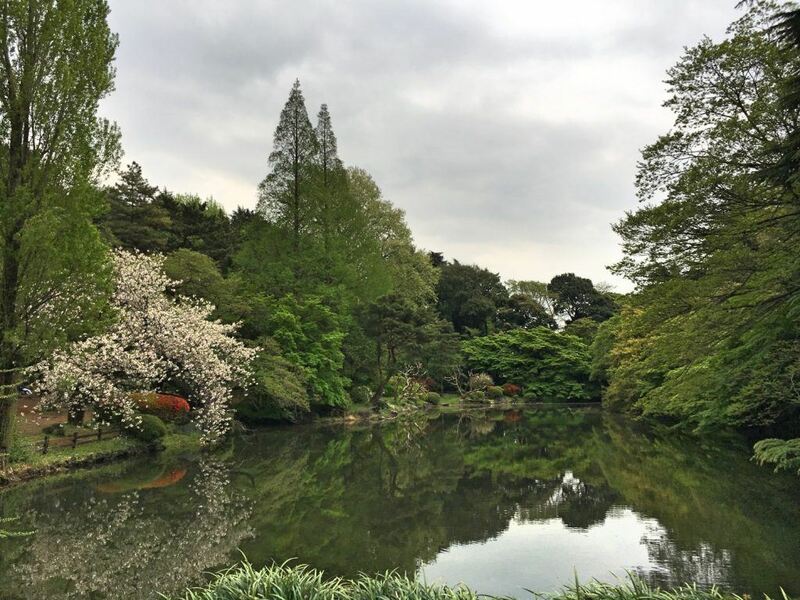 Just along from the hustle and bustle of Shinjuku is Shinjuku Gyoen (park). 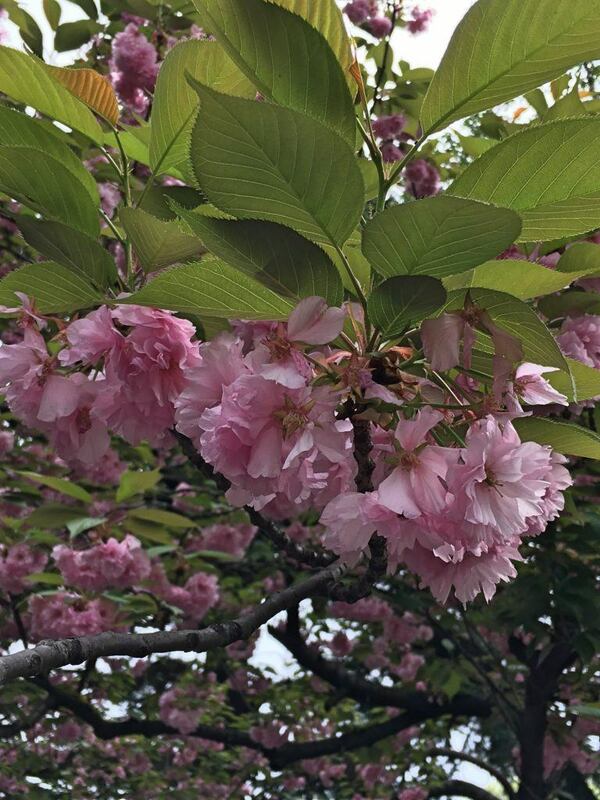 It’s an absolutely stunning place to wander through and admire the gorgeous gardens. 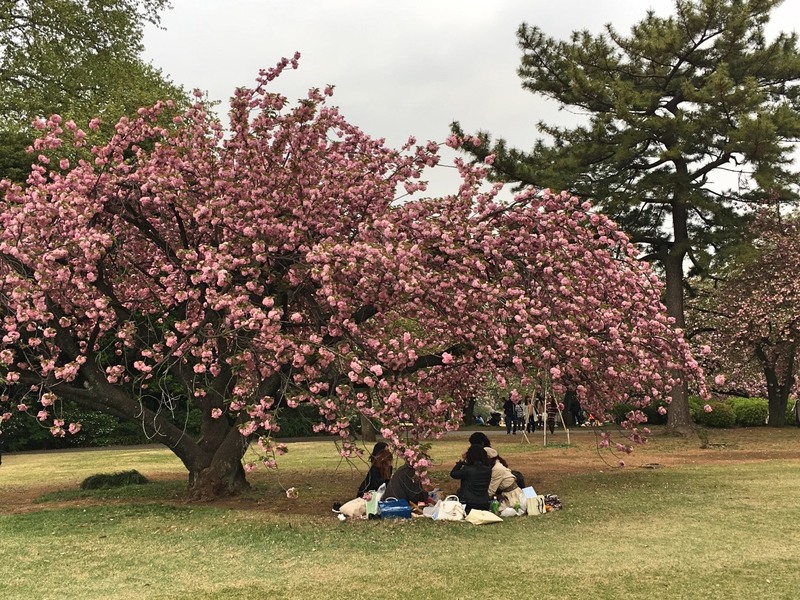 As we were lucky enough to be there in spring, we got to see people having hanami (picnics) under the sakura (cherry blossom trees). 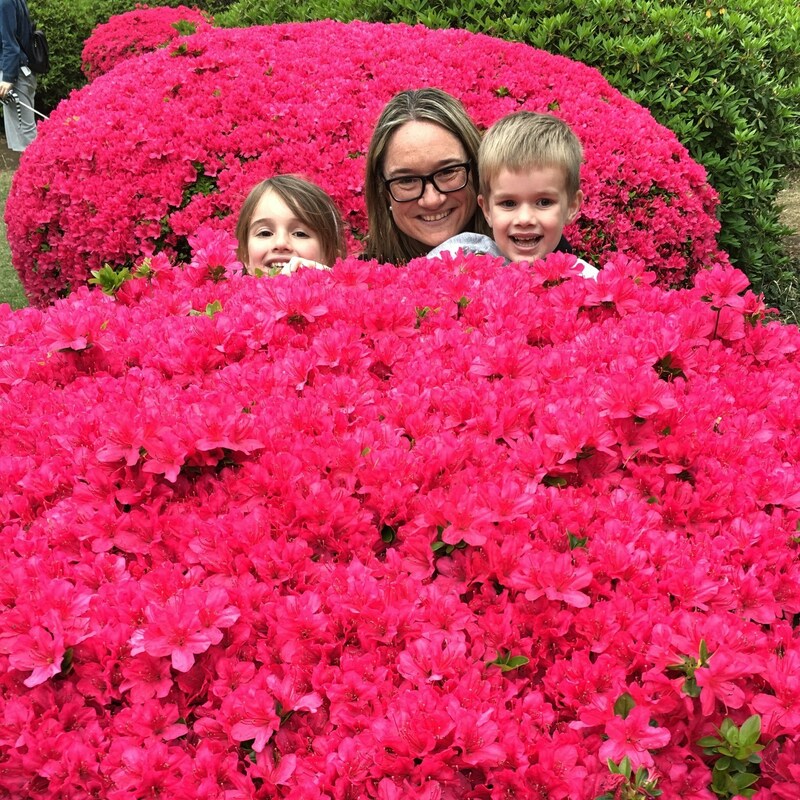 While sakura is undoubtedly the star of the show in spring, there are also stunning azalea bushes that are perfect for a game of hide and seek. 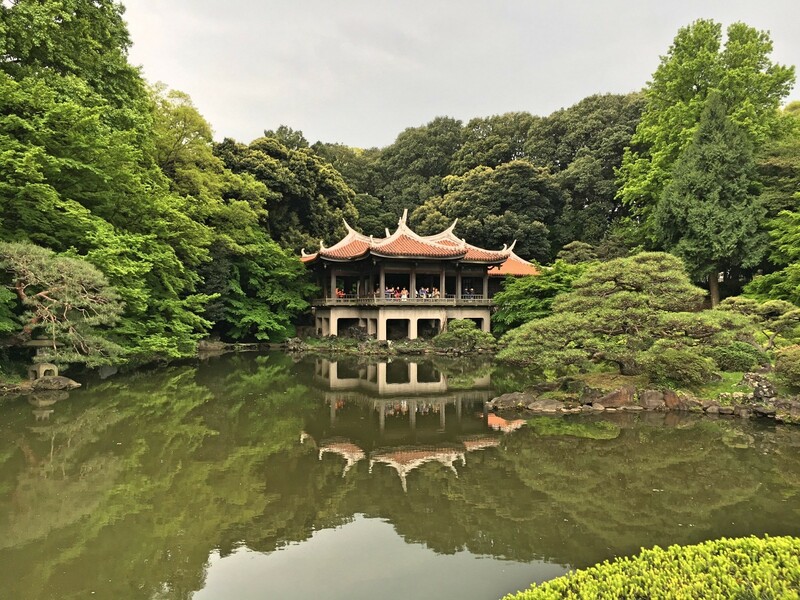 There is a small charge to visit Shinjuku Gyoen, but absolutely worth it in our opinion. 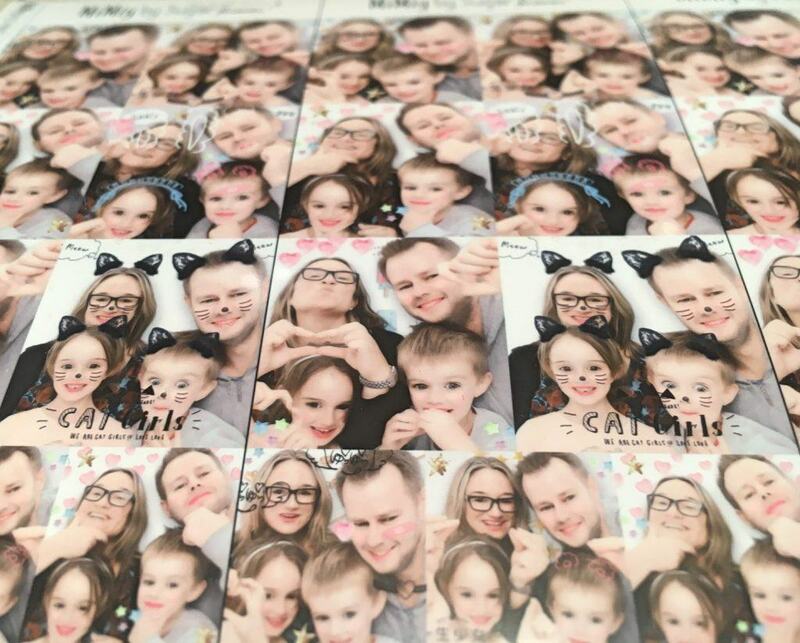 Purikura are photo booths that you can find dotted around the place, that are extremely popular with teenage girls taking group selfies! But they’re a highly entertaining thing do do with your family as well. You go into the photobooth and take a series of funny snaps, then get an electronic pen where you can draw on the photos and add stickers. Vending machines are ubiquitous everywhere you go in Japan, there must be literally thousands of them in Tokyo. 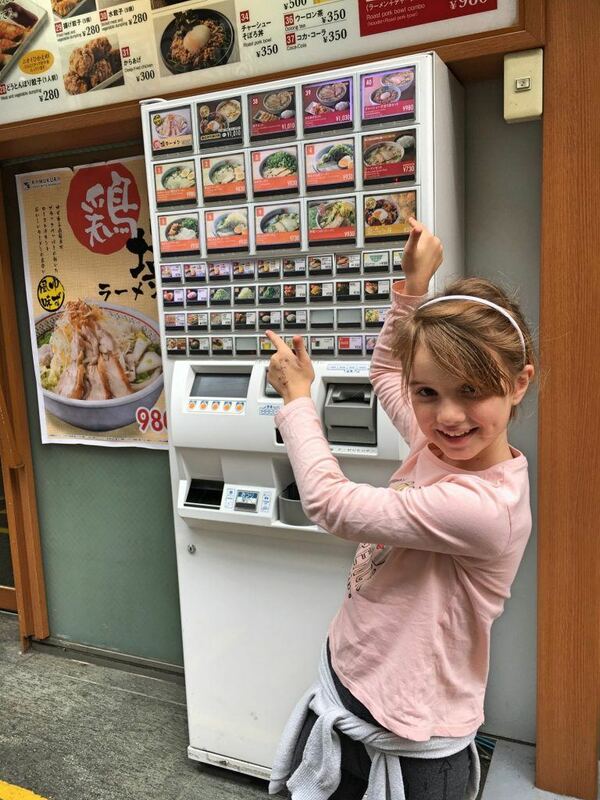 You can do everything from get hot and cold drinks, order a meal and pay for it via a vending machine (then go inside and wait while they cook it), get all manner of cute little toys that your kids don’t need from them…..
Order your food from the vending machine outside the restaurant, then hey presto get your receipt and wait inside while they cook it up for you! But it is a fun thing to do and actually very convenient! 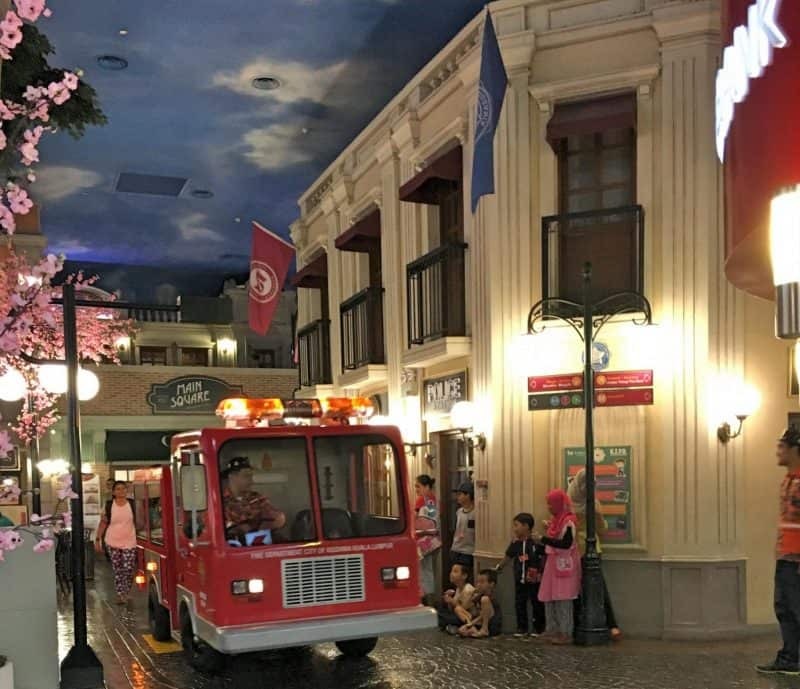 Our kids absolutely adore Kidzania! The idea behind Kidzania is that it’s a world for kids, run by kids, where they get to do real-life jobs and get “paid” in Kidzos for completing their tasks. We’ve been to Kidzania in Kuala Lumpur and Kidzania Bangkok and had a great time. 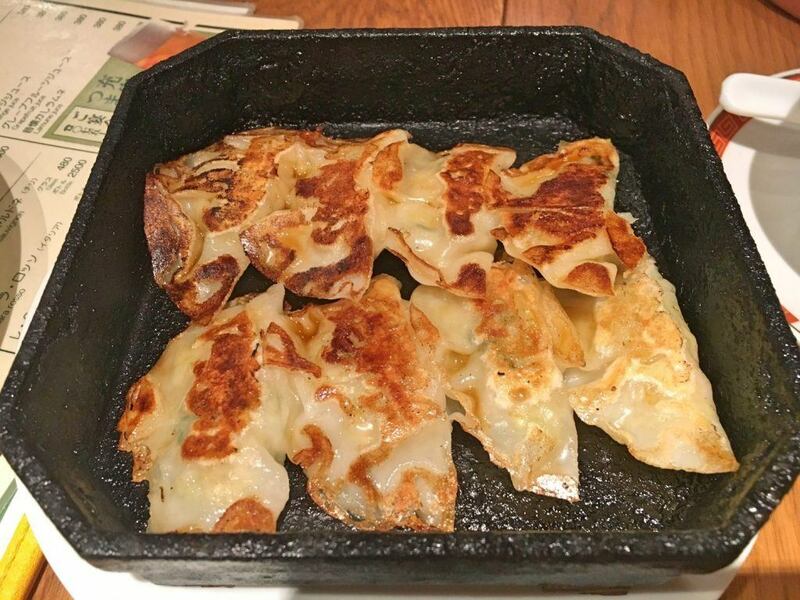 The Tokyo branch has all the usual activities including burger making, working in the dental clinic, the fire department and police, beauty consultant (our daughter’s favourite! ), being pilot or a flight attendant and so much more. -Again this attraction sells out well in advance, so you’ll need to book tickets online here at the Kidzania website (available up to four months in advance). 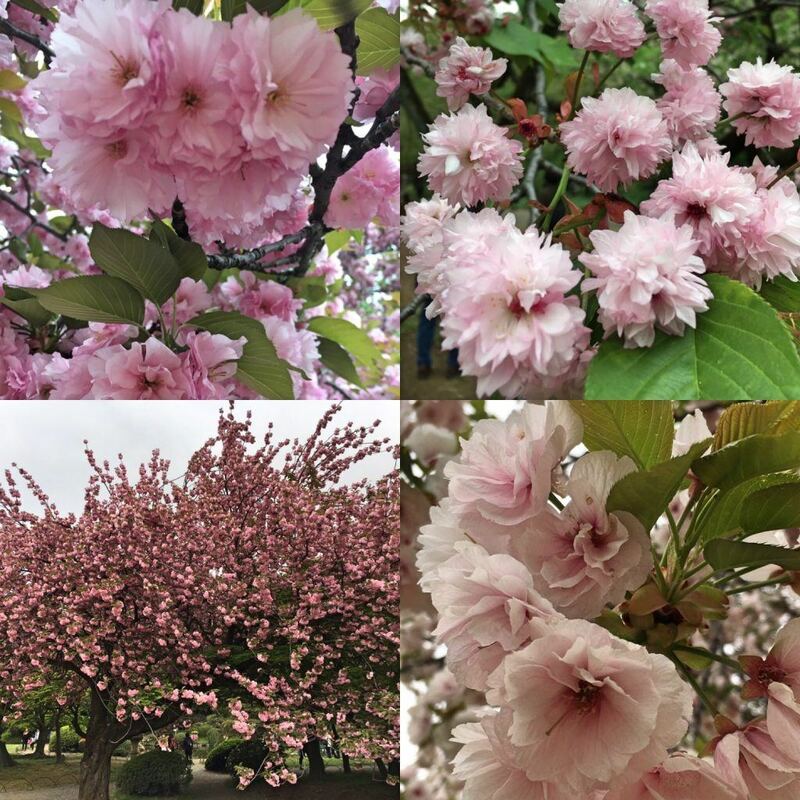 -Many of the attractions are in Japanese, but the language shouldn’t be a barrier necessarily. If you want to ensure you get the full experience, then we would recommend visiting on a Wednesday, for “English Wednesdays“. Over half the attractions are provided in English and there are English speaking staff floating around to assist where needed. -Alternatively for an extra cost you can book a EAP and EAP eKspress experience, which lets you experience 3 or 5 of the activities in English – with no waiting in a queue! Find out more including costs here. If you have a young samurai wannabe, then taking part in a samurai training session is an amazing experience! 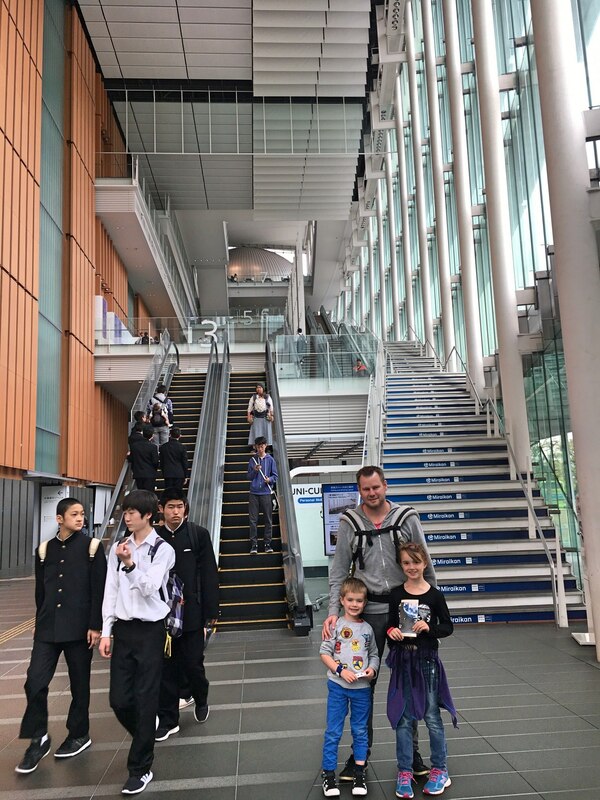 Suitable for children over five as well as adults, you can take part in ‘Kenbu Tachibana Ittoryu’, a performance style that’s been around more than 80 years. Traditional uniforms are available for you to wear during your training session, and you’re presented with a certificate upon completion of your 1.5 hour session. Photos are also available! 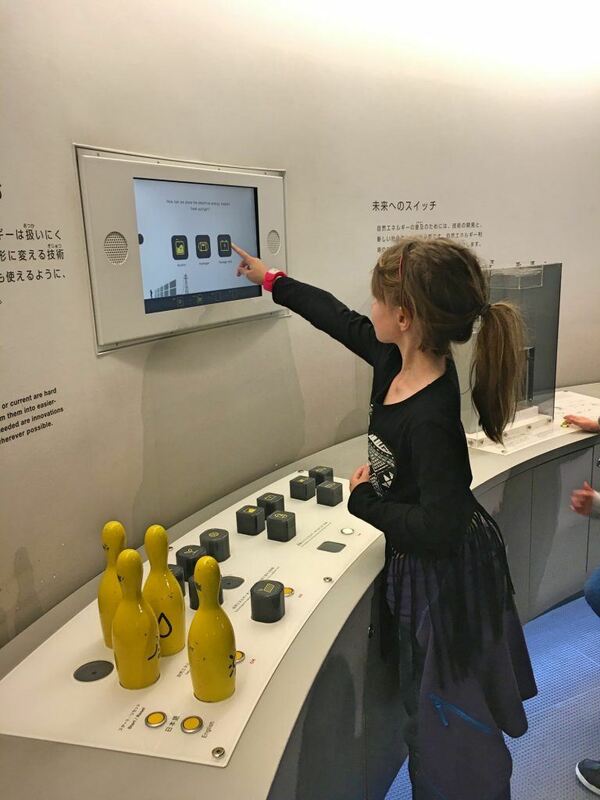 This museum aims to show the links between new technologies and the basic principles of science – perfect for any budding Einsteins out there! It’s a great choice for kids as it’s filled with interactive exhibits, movies and displays. Find out more here. A relatively new museum that focuses on space technology and information. One of the exhibits allows you to sit in a theatre and see the Earth from the view of the International Space Station! Find out more here. 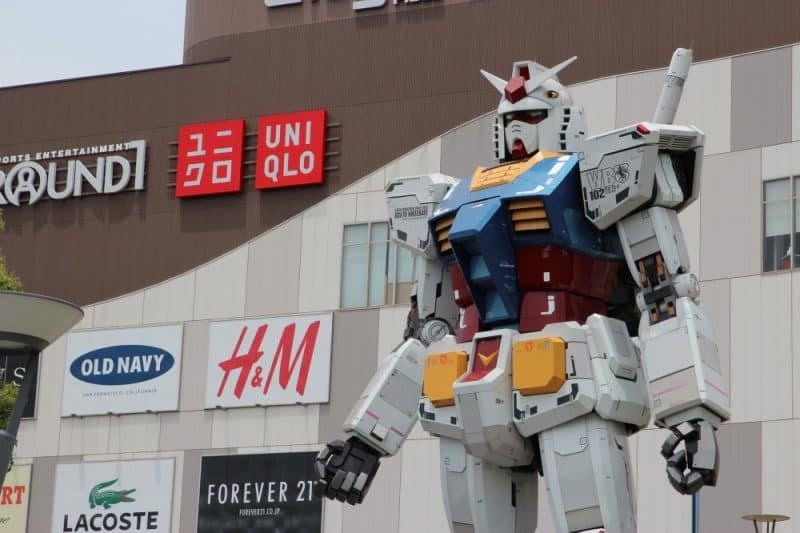 This 7-floor shopping and dining plaza is a great place to shop with many chain stores, but it’s point of difference is the giant 18 metre tall Gundam statue outside! There’s also a Gundam museum inside featuring full-sized models and original drawings. Between 5-11pm is a great time to visit as the statue is illuminated making it even more lifelike! Harajuku is the district of Tokyo renowned for ‘Harajuku Girls’ – it’s the hub of Tokyo youth and pop culture and a fascinating place to visit if you’re into people watching. 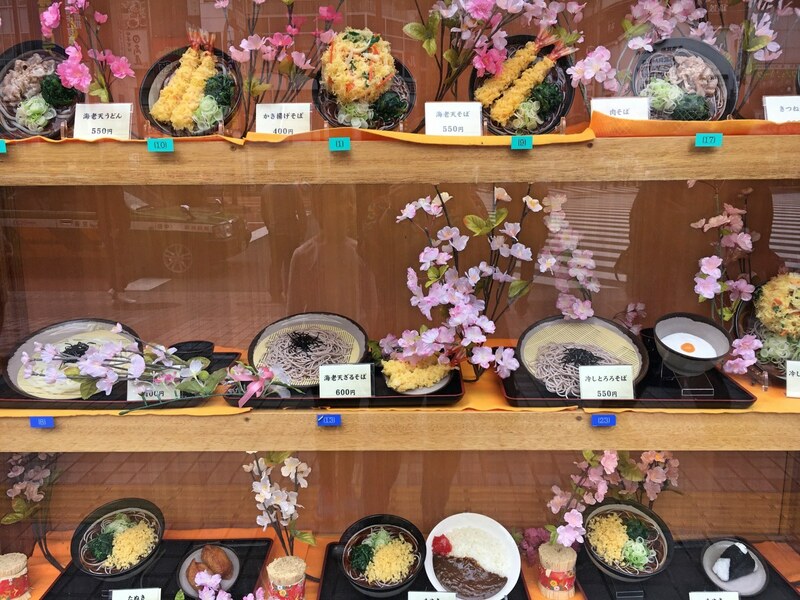 Harajuku also showcases some of the kawaii (meaning cutest or adorable) food in Japan – think robot cookies, monkey shaped desserts, unicorn noodles, rainbow cotton candy, animal donuts and more! 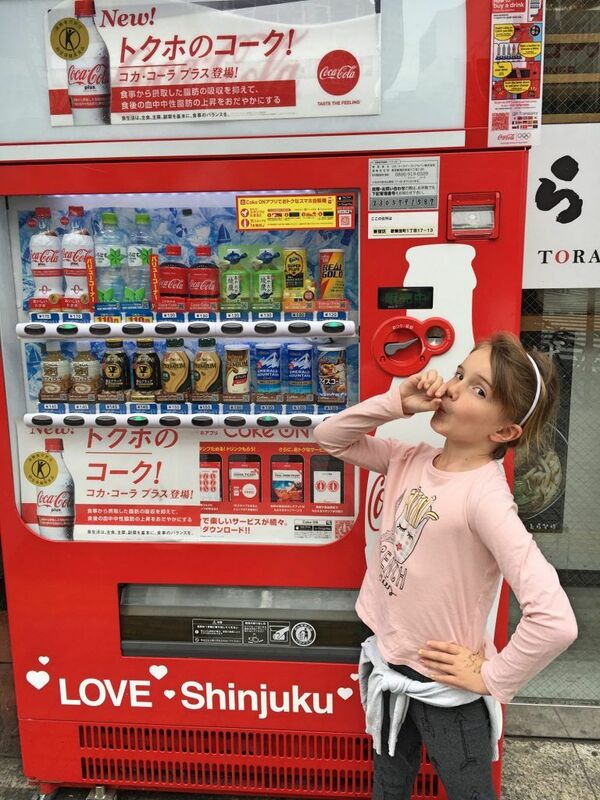 This brilliant tour guides you through all of the must-see streets in Harajuku and samples some of the best kawaii food there is – your kids will love it! -There are a plethora of places to stay in Tokyo, and it can be very expensive! Places also book out quite far in advance, so it pays to make reservations as soon as possible. -Also be sure to sure to specify a non-smoking room if that is your preference, as smoking is still permitted in many hotel rooms. I’m not going to pretend to be anything like an expert here, because there are SO many places to eat and most of them I’m sure are amazing. 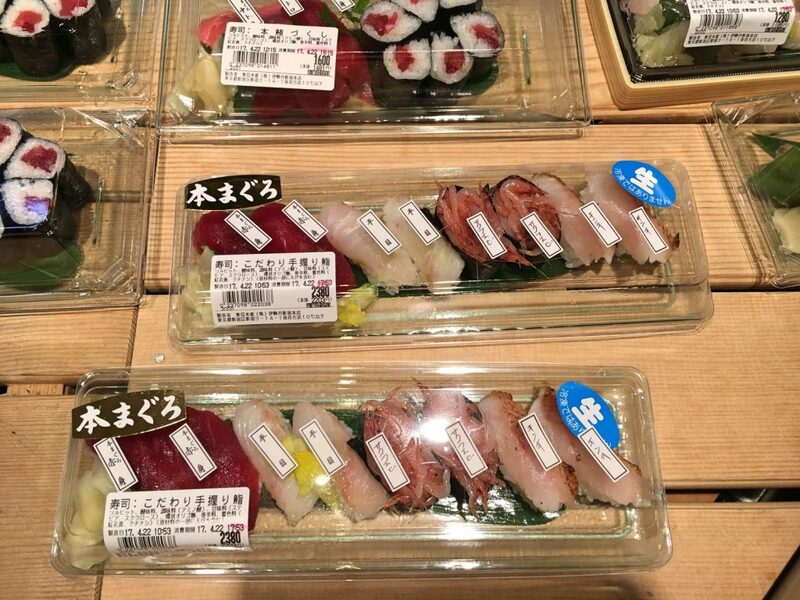 The one thing I would recommend however is the sushi at Tsukiji as I mentioned above. 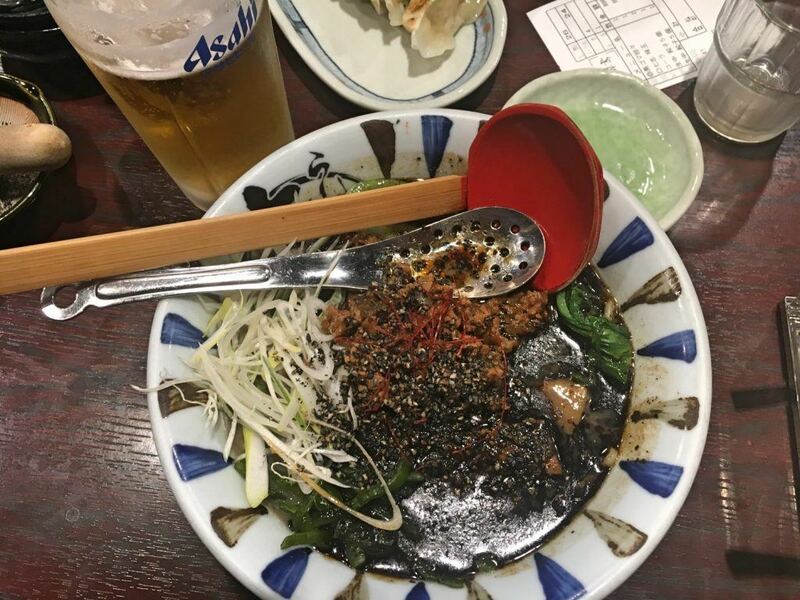 While in Tokyo here are some other things you might like to try. Ramen – a delicious broth with noodles, meat, vegetables and sometimes a hard boiled egg. 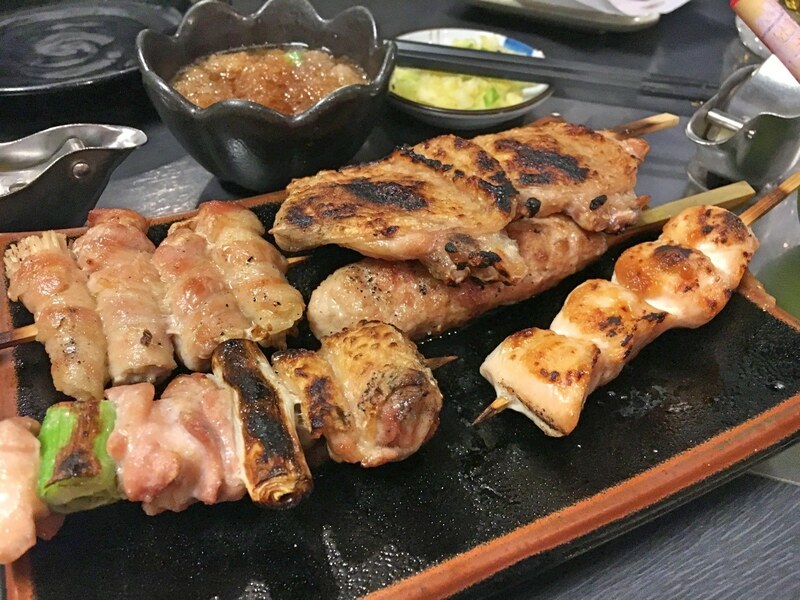 Yakitori – meat and vegetables on skewers at an izakaya (pub or bar) with a large beer. Great fun! 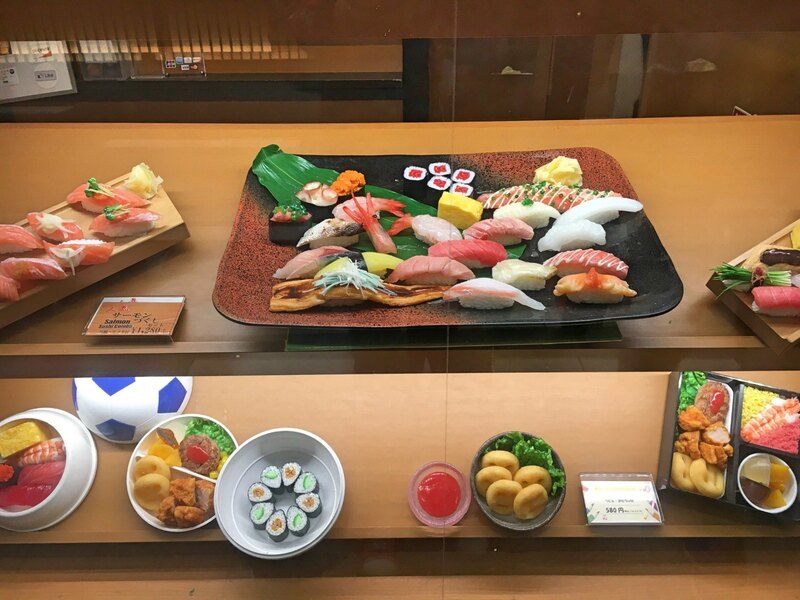 Another interesting thing when choosing where to eat in Japan is the displays of plastic food that adorn restaurant windows. Some of it is so realistic! It’s apparently there to entice diners inside. The Tokyo train system is amazing but also like spaghetti junction and confusing all at the same time! But don’t be put off as it’s a really efficient way of getting around. Trains are clean, modern, on time and travel to most parts of Tokyo that you’d want to go. Luckily, all of the stations and places are sign-posted in English and both the station staff and local people are so extremely friendly and helpful you can’t go wrong. If you’re looking to venture outside Tokyo on a daytrip, then check out this list of the Top 30 Tokyo Day Trips. 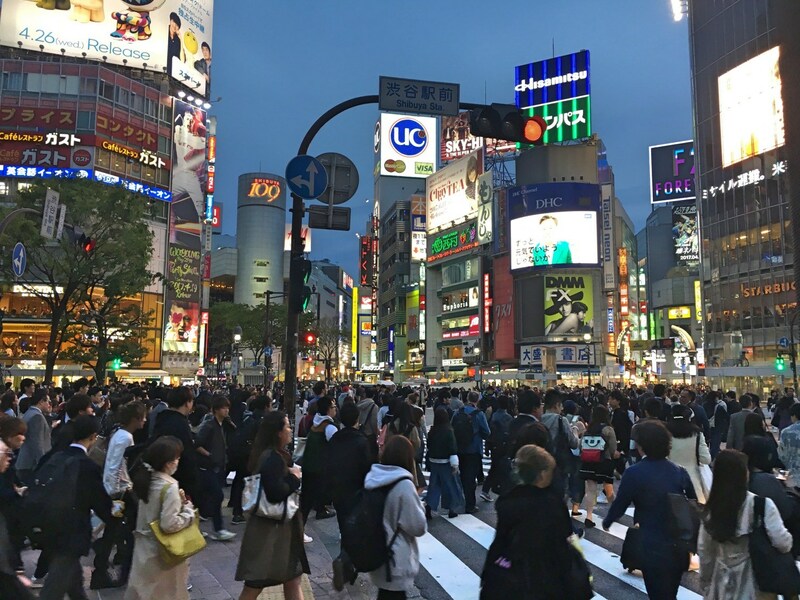 -Avoid using the subway at rush hour with kids in tow – there are literally thousands of people (3 million plus per day at Shinjuku!) and it can be a very full-on experience. Off-peak is certainly manageable though. -It helps to know what exit you want with some of the larger stations. For example Shinjuku is massive and you can literally walk a kilometre or more in the wrong direction if you don’t get it right! 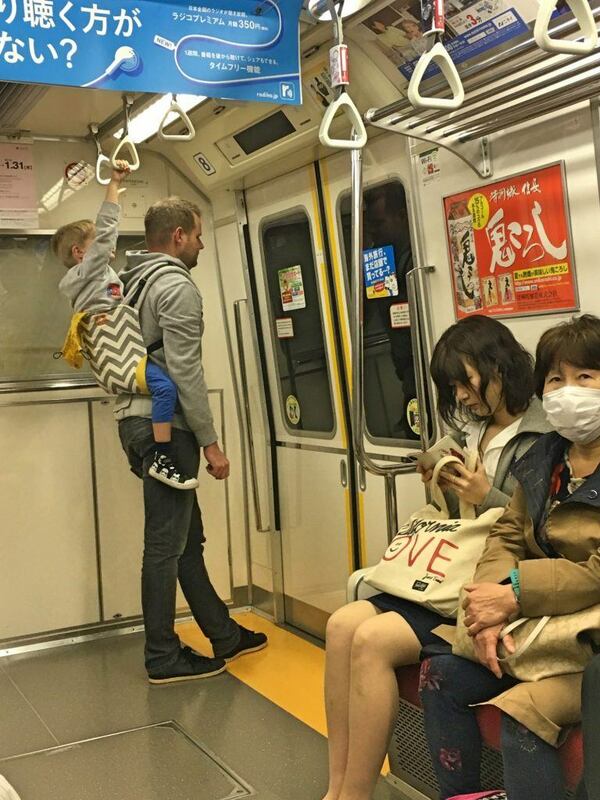 Tokyo is a HUGE city, so if you’re travelling with kids, be prepared to pace yourselves. If you don’t want to deal with the complexities of the subway and all the walking and crowds it involves, then a Hop On and Off Bus is a good option. 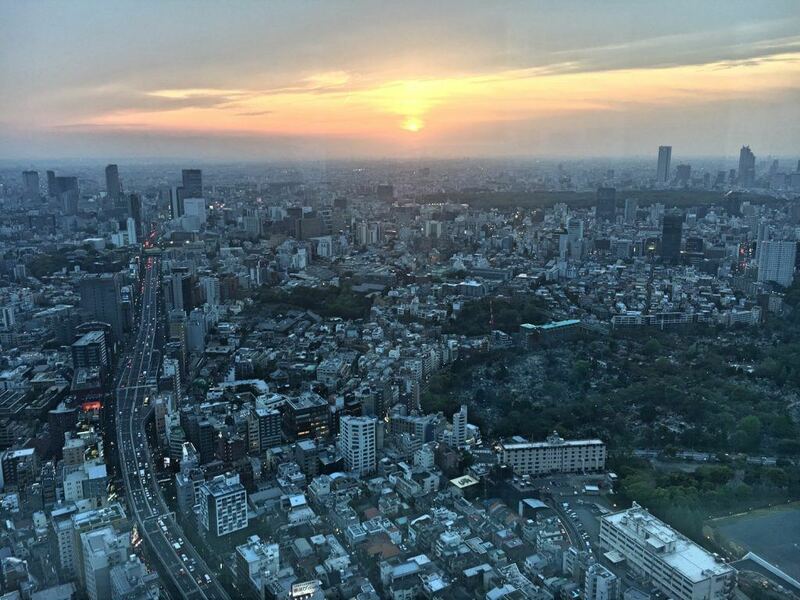 Tokyo is a sprawling city, and the airports are located a long way from the city centre. When travelling with kids, especially after a long-haul flight, it can be best to have a transfer waiting for you, rather than dealing with taxi negotiations with tired kids. We flew to Osaka so came up to Tokyo on the shinkansen. 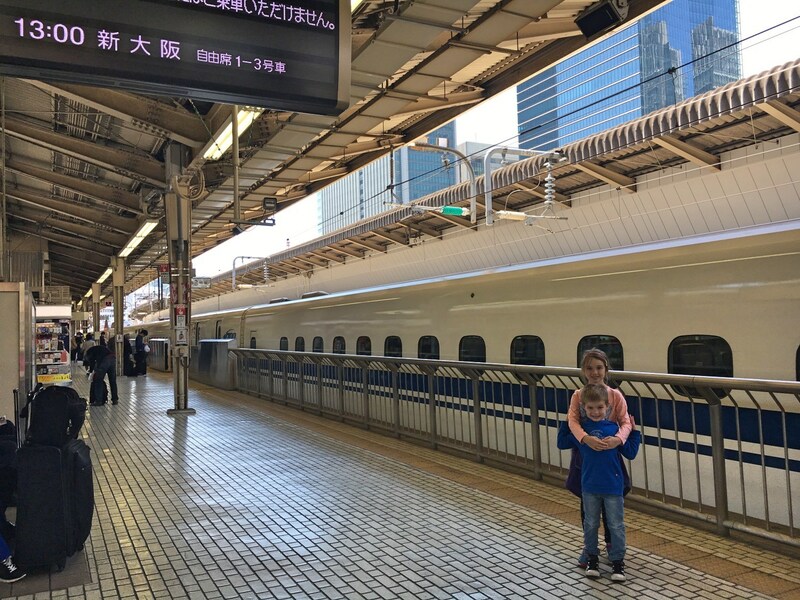 The shinkansen or bullet trains are an absolute must-do if you are in Japan with kids. Yes they can be expensive but it’s an experience all in itself to ride in a train going over 300km/hr. And it’s such a fast way to get around – 2.5 hours from Osaka to Tokyo versus almost 12 hours on a bus? No brainer! A very economical way to ride the shinkansen network is to purchase a Japan Rail pass. To get the tourist pricing however – which is much cheaper than what locals pay – you need to purchase the pass before you leave your home country. It gets mailed to you, so make sure you purchase it well in advance. 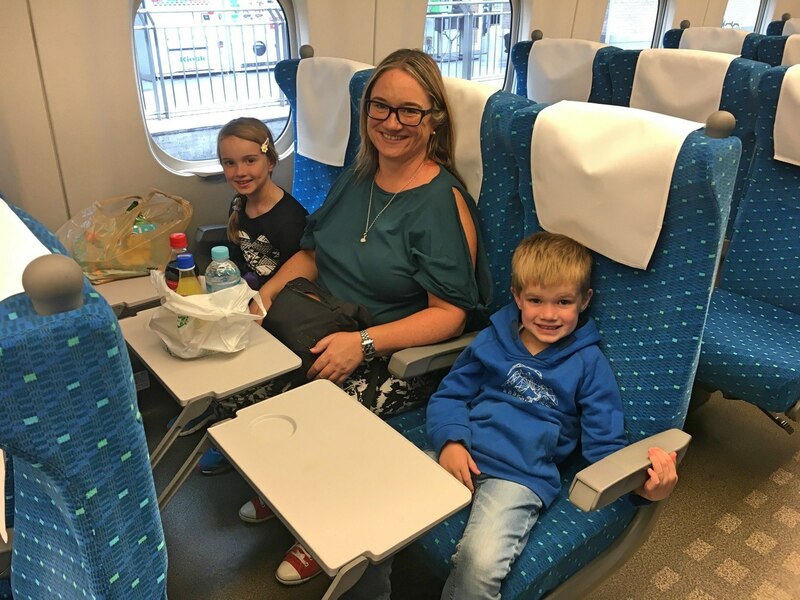 We took lots of snacks with us on the shinkansen, but you can also purchase food and drink on the train via the trolley that comes around. In true Japanese fashion, the trains run absolutely on time to the minute (don’t be late!) and the toilets are immaculately clean compared to most we’ve experienced around the world! We just turned up on the day and booked our seats right before we wanted to travel, but this was off-peak during the day. You may want to book in advance if you are travelling during peak times. We also found it super useful to carry around pocket WiFi when in Japan. This helped save us on expensive roaming charges, and meant we had access to translation tools and maps on our phone. This gives you unlimited data and can be either delivered to your hotel or picked up in Harajuku. Alternatively, you may like to just purchase a SIM card with pre-paid data to use on your phone. We recommend this Unlimited Pre-paid Japanese SIM card (7 or 15 day option) that can be picked up at the airport or delivered directly to your hotel. 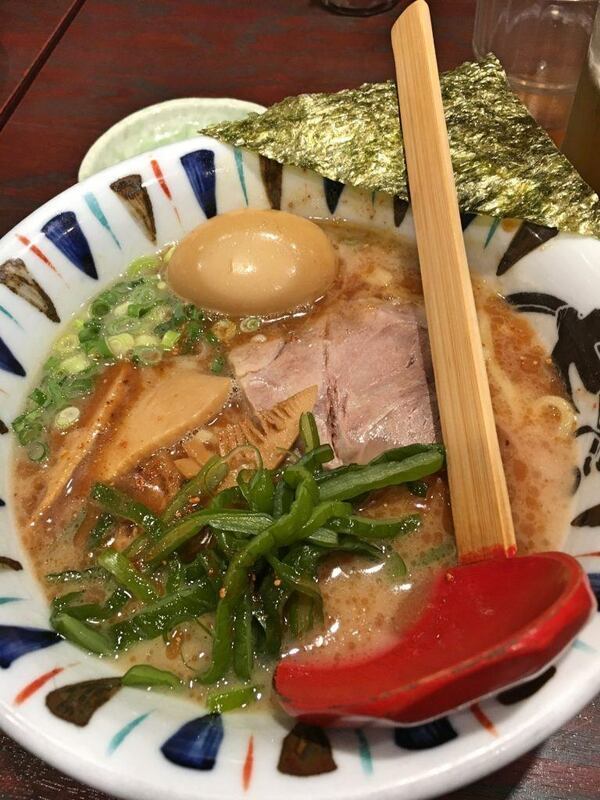 NOTE: This needs to be pre-booked at least seven days prior to your arrival in Japan. 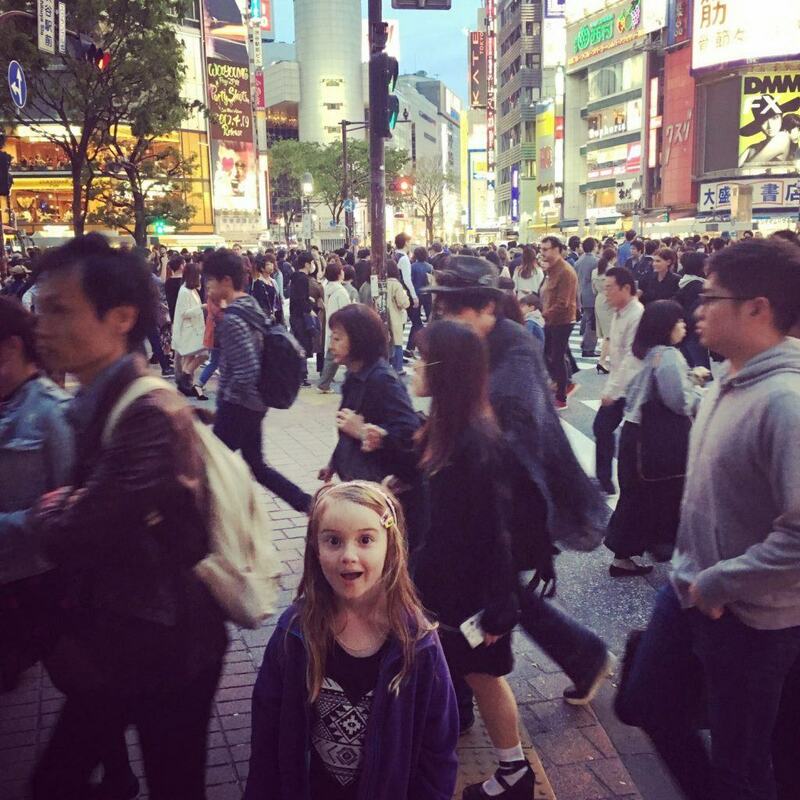 Because of the sheer volume of people in Tokyo, we were a little concerned about losing the kids! 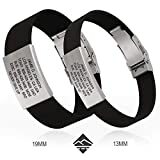 Luckily that never happened, but we purchased these fabulous Road ID bracelets for the kids that they wore at all times just in case. 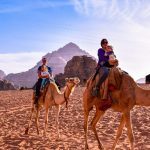 Want to know more about essential items for travelling with kids that we’ve picked up over 34 countries? Read our Top 10 Tips For The Best Kids And Family Travel Gear here. 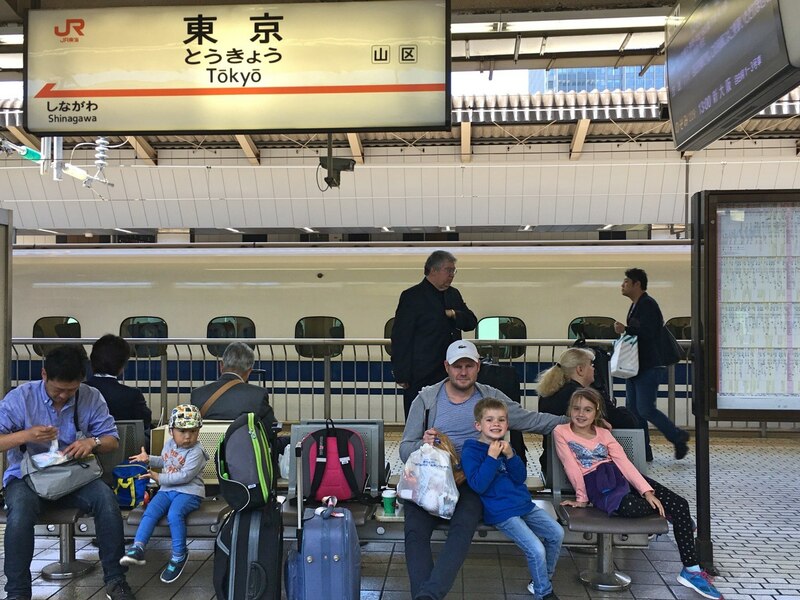 We absolutely LOVED our trip to Tokyo – it’s such a great place to travel with kids and the hardest part is narrowing down what to do! Remember to pace yourselves, choose three or four of the things from this list that are ‘must-dos’ for your family and ENJOY! Disclaimer: Our Overseas Adventures is a participant in the Amazon Services LLC Associates Program, an affiliate advertising program designed to provide a means for sites to earn advertising fees by advertising and linking to amazon.com and its partners. Amazon and the Amazon logo are trademarks of Amazon.com, Inc. or its affiliates. Thank you for supporting my site and helping me make it the best resource on the web!